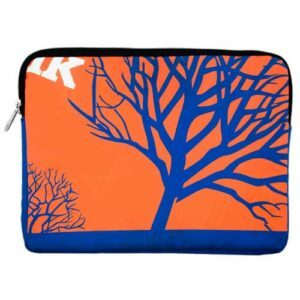 Laptop bags and tablet bags / I Pad bags and laptop sleeves form part of our bags made from billboards range. 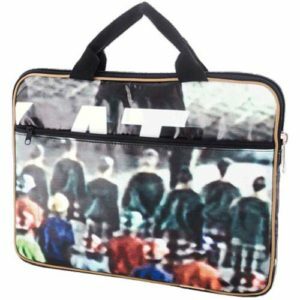 Bags made from billboards are a fantastic eco friendly give away as they are made from used PVC marketing waste, mostly billboards. They are lined with polyester marketing waste. 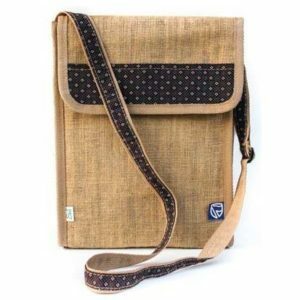 These bags made from billboards can be covered on the outside with hessian and a shweshwe trim for a completely different look and feel to the laptop bags, tablet bags / I Pad bags and laptop sleeves. 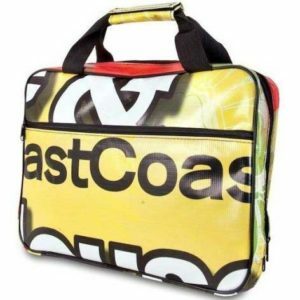 The bags are branded with a full colour PVC label which is sewn on in your preferred position. Made in South Africa from recycled PVC billboards. Padded inside and zipper pocket on outside. Carry handles with PVC handle grip.Good for carrying charger and extras when travelling. Made in South Africa from PVC billboards. Outside zipped pocket. Padded inside. 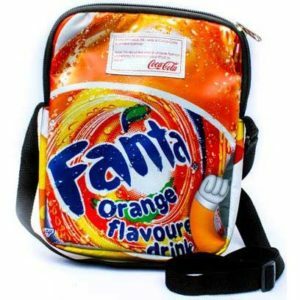 Made in South Africa from PVC billboards or polyester waste With zipper . Padded and lined with polyester waste. Made in South Africa from PVC billboards on the inside and covered with hessian on the outside. Open PVC divider pocket inside. Adjustable sling strap. Made in South Africa from PVC billboards or polyester waste. With zipper . 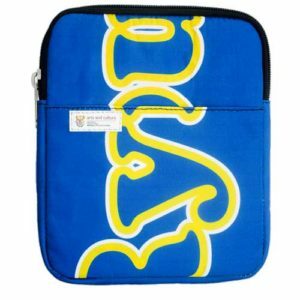 Outside pocket with Velcro fastening padded and lined with polyester waste. Made in South Africa from PVC billboards or polyester waste. 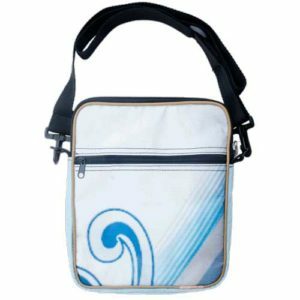 Adjustable sling strap, Velcro fastening on outside pocket. Lined with polyester waste. Made in South Africa from Shweshwe, PVC billboards and polyester waste. With zipper . 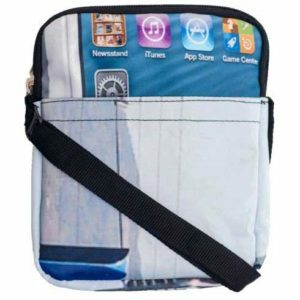 Outside pocket with Velcro fastening padded and lined with polyester waste. Made in South Africa from PVC billboards. Adjustable sling strap. Lined with polyester waste. Made in South Africa from PVC billboards. 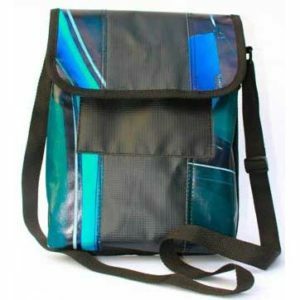 Adjustable sling strap, zipped outside pocket. Lined with polyester waste. Made in South Africa from PVC billboards.Outside zipped pocket under flap. Magnetic stud closure. 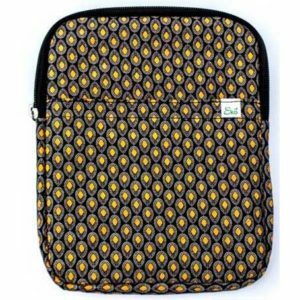 Padded and lined inside with polyester waste. Open PVC divider pocket inside.